You cannot become an honorable person overnight. While we all have an innate sense of goodness inside us, it is easy to err; it is easy to make bad choices and bad decisions. However, it is never too late to start improving. The desire to become honorable is the first step towards it. It shows that you realize there is something amiss in your life and you want to improve yourself as a person. The first step to know what honor means. 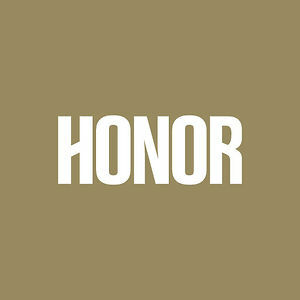 Honor is not easy to define; it is a characteristic which contains many other qualities. Being honorable does not have anything to do with your status or accomplishments (contrary to what people often believe), it is to do with having a keen sense of right and wrong, having honesty and integrity. Your conscience never lies. It will always tell you what is right and what is wrong. Some of us may choose to ignore it, but an honorable person listens to his/her conscience and believes in the innate goodness of humanity. Being honorable is not easy. You will make enemies and sacrifices. However, knowing that you are doing the right and just thing is your source of strength. You have to be strong inside in order to face difficulties. Honorable people do not lie. They accept the truth and side with it even when it is not in their best interest. Truth is right, and honorable people clearly differentiate between right and wrong. Defeating truth is defeating honor. An honorable person staunchly believes that right is might. He does the right thing in the face of adversity and does not fear the consequences. Being honest is not as easy as it may sound. It is one of the most important qualities in an honorable person. A person’s honesty is tested when he/she is alone and no one is watching. An honorable person remains honest in his actions even when there is no fear of judgment. An honorable person has principles he or she does not compromise on. These principles form the code of conduct and are adhered to even in unfavorable circumstances. A person with no principles is a person who has nothing. Honorable people walk the right path and take initiatives where others normally would not. An honorable person helps those in need and sets examples for others. Being upstanding does not mean you make obviously dangerous choices however; honorable people know the importance of living to fight another day.